Want to accessorize like the free-float guys but don’t want to give up the classic, reliable front sight base? The NCStar Extended Carbine Drop-In handguard is a 13.5″ long aluminum forend with 7 sides of M-LOK attachment points, plus a picatinny top rail. This rail requires no gunsmithing – it is a true drop-in replacement for your carbine-length (7 inch long) handguards that uses your existing barrel nut and front sight base. This is great for mounting weapon lights further towards the muzzle to reduce shadow, and it gives you a wealth of options for lightweight forend accessories like grips and handstops. Includes two picatinny rail adapters. 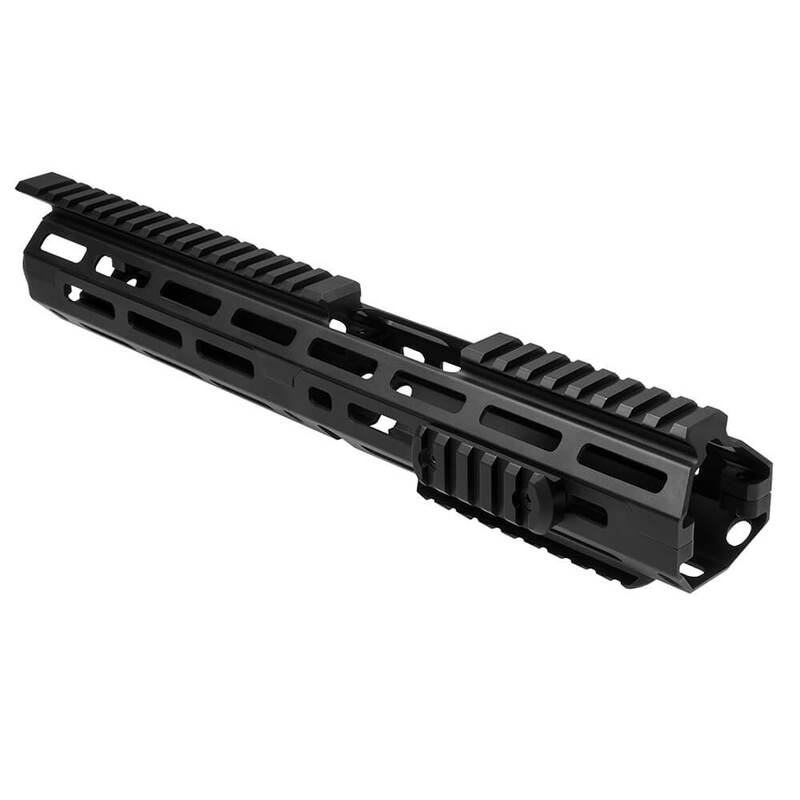 Modular out of the Box – Includes Two M-LOK Picatinny Rail Sections for accessory attachment. One 5 slot Picatinny and 9 slot Picatinny. Compatible with Carbine-Length AR15s with 14.5″ or longer barrels.